Today was Easter Sunday. I went to church at Fresno First Baptist where my brother is Pastor of Worship. He was reminding me that he has been here 11 years and I had never seen his house or church. But he has seen everywhere I have lived including Grand Turk and Ocotillo. Two not-so-easy places to get to. I may have been cantankerous about having to drive all the way up here, but I am very happy I came. It has made me feel more connected here than I thought it would. I enjoy Bryan's family. And I like getting to see Mom. I think we should make plans for Thanksgiving. Thanksgiving used to be a big family holiday for us. Then after 9/11 we started traveling every Thanksgiving. Easter used to be a big family holiday. Every year it was Sunrise service, breakfast at church, Easter service, then a big family dinner. I think my Mom started going out to California to visit Bryan for Easter and in Columbus, Easter changed. 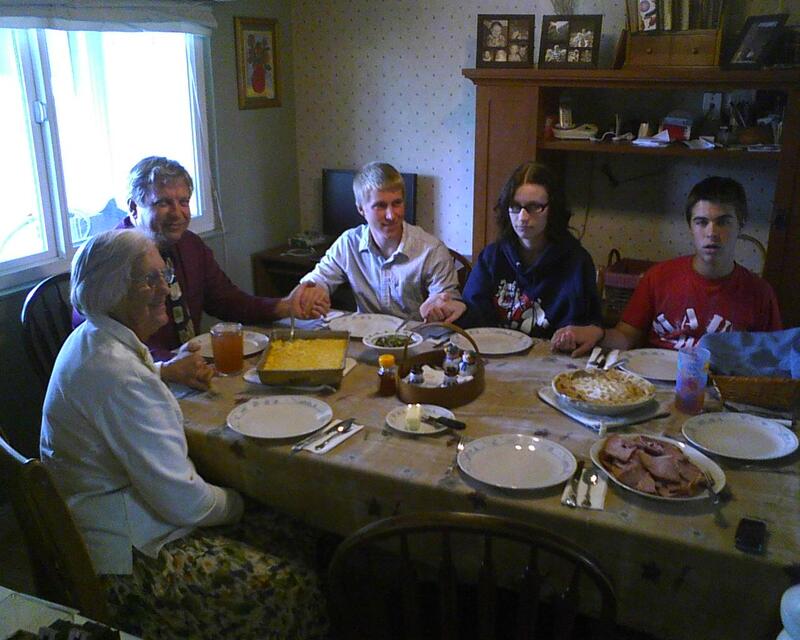 We still had Easter Sunday dinner, but it was always something very different. My favorite Easter dinner story was the year when we had a lobster and crab bake. Steve could not stop complaining the entire time. I think he thought we were trying to ruin Easter. All I could think about was how anyone could complain about a lobster and crab bake. In 1994 I attended the Easter service at St. Paul's Cathedral in London. That was cool. I have a great sketch of that in one of my travel notebooks. Deneen spent Easter once at St. Peter's Cathedral in Rome. That must have been really cool. In 2008 we spent our first Easter on Grand Turk. There is a picture on this blog of the family standing outside of the Baptist Church. Everyone looks really young. 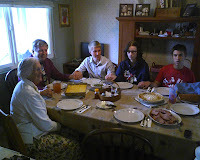 We spent Easter 2009 in Montreal, Canada, while Lucas was at Lake Placid. Last Easter Dave Horn came to visit in Grand Turk and we attended the Easter service at the Lighthouse church. The Valentine family, missionaries who had become good friends, had just completed re-building the church after the hurricane. I talked to Jessica last night. She spent Easter last year with Dave and me, where I evidently "made" her go to the church service. This year she was in Australia. She was telling me about her Easter the day before my Easter happened. My son Martin spent Easter by himself at Judson University outside of Chicago.